There’s a reason why bed sizes are referred to with royal titles. After all, a good-looking and comfortable bed has the power to make you feel like a king or queen sleeping in it. 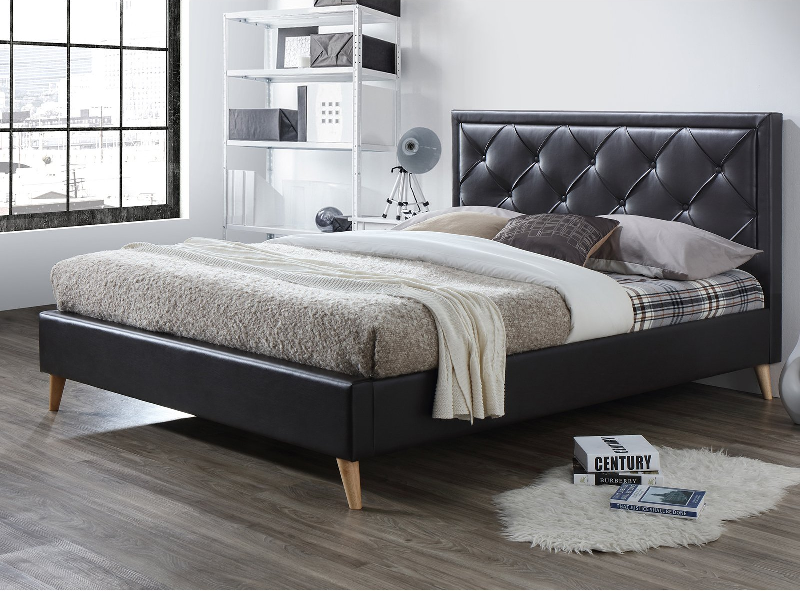 And when it comes to the look of your bed, there’s no better way to crown it than with a gorgeous bed frame. In fact, when chosen right, the bed frame can help set the desired tone for the bedroom. For a space that is better off free from too many furniture pieces and overwhelming décor, an attractive bed frame will serve as the perfect focal point. Not to mention its highly important purpose, that of properly supporting your mattress for ideal sleeping comfort. Needless to say, the frame is the final puzzle piece for your sleeping arrangement. Therefore, you should do some good research and sleep on it in order to buy bed frame that is a perfect match for you. Size is one of the most important factors, as I’m sure you don’t want to end up with an ill-fitted frame that makes your bedroom look unfinished. If you have a full-size mattress, a double bed frame is the perfect option. All queen sized frames are designed to fit queen sized beds. But if you want to fit a king sized mattress, this is where it gets a lot trickier as there are several different king models. Make sure that you know if your mattress is California king or eastern king because they vary significantly in proportions. Besides matching your mattress in size, the bed frame is supposed to beautifully match your space in terms of design. For more traditional bedrooms, a wooden bed frame can help create a warm, and intimate feeling. Bonus points if it comes with textured embellishments. Wrought iron frames are also a popular choice for vintage bedrooms that love a little drama. If you prefer a more modern look, a sleek metal frame or a wooden with clean, minimalist design is sure to complement modern interiors. Once you’ve figured out the size of your bed and decided whether you want your bedroom to lean more towards contemporary or vintage, you can proceed with choosing a bed frame style. When you head out to buy bed frame, you’ll notice that they come in a variety of styles including canopy, four-poster, low-post, French-style, sleigh, and upholstered. Canopies and four-poster frames are bulky and eye-catching and are best reserved for large bedrooms that can handle the added drama. They can be very tall, so it’s important to measure your room in height. French-style bedrooms are also dramatic, but more subtle – perfect for serene, romantic spaces. Sleigh and low post frames are usually popular in minimalistic designs and small rooms that can benefit from their simple design.